If you’re looking for the ‘health benefits’ of wine then vinotherapy could be the answer! 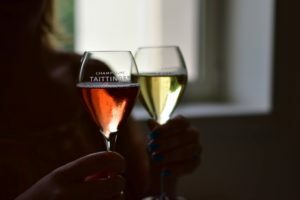 This latest massage phenomenon involves massage with the raw ingredients of wine being kneaded into the skin – therapy to truly relax and invigorate you (followed by a nice glass of wine or two I hope!). In the luxurious surroundings of the extraordinary 5* Marques de Riscal, they offer vinotherapy in their splendid spa. I like the sound of their ‘Caudalie Exceptional Ritual’, a decadent afternoon of relaxation which gives you the opportunity to enjoy a fifty minute facial treatment in a private room, followed by a bubbly barrel bath, complete with either exfoliating grape marc or filled with red wine! This afternoon of pampering is concluded with a Caudalie massage … where do I sign up? 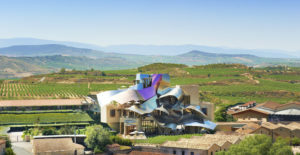 The 5* Marques de Riscal also has the added bonus of being a working winery, so whilst you stay, make sure to take a tour of the estate and taste their excellent Rioja. It’s definitely a place worth adding to your wine lover’s bucket list! Portugal is one of the only countries which still presses its grapes by foot treading, and this is a must do for wine lovers! Imagine climbing into the stone “lagaras” (treading tank) and gently pressing the grapes with your bare feet… it’s certainly a unique activity, and one that I would love to try for the experience. It’s of course a dream to be able to visit First Growth Châteaux such as Latour, Margaux, Lafite and Haut-Brion, but unfortunately, without an extensive wine collection, reference from an importer, and general revelation of my soul to the estate (!) it isn’t likely that I will be setting foot through their doors. 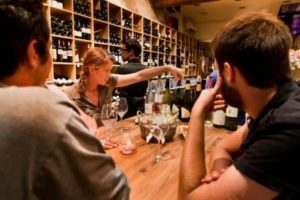 But at least I can TASTE their wines; with the guidance of an experienced Sommelier in Bordeaux, there is a specialist wine bar that will allow you to sample these prestigious wines in the region where they were produced. 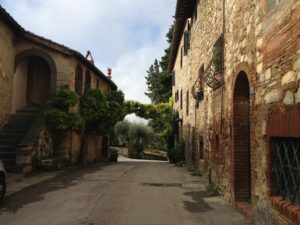 Italy is one of my favourite holiday destinations, and I love Tuscany’s rolling hills, unassuming vineyards and the simple yet delicious cuisine! A firm bucket list desire of mine is to stay at one of the wineries in Tuscany… Castello di Fonterutoli looks just perfect. It’s a lovely boutique guesthouse with outdoor pool and on site restaurant. The estate is surrounded by 650 hectares of vineyards, woods and olive groves and the villa dates back to the 1500’s. A stay at Fonterutoli promises to engulf you in Tuscan tradition, and sitting in the sunshine by the pool or on the cobbled terrace, sipping a glass of wine produced on the estate would be truly wonderful!